The Japanese title of this book is 沈黙, read in Chinese as “chen mo” and in Japanese as “chinmoku”, a kind of deep overwhelming silence. The first character is also my surname, but pronounced differently. It explores the theme of the hiddeness of god. The protagonist, a Jesuit, had to deal with the apostasy of his former teacher, braced mortal danger to travel from Portugal to Japan to investigate the matter and ended up risking his life in Japan to minister to communities of persecuted christians. There were scenes of theological and philosophical debates between christianity and buddhism between the protagonist and his interlocutors, and sometimes with himself. Again, philosophical propositions win debates but never converts. It was the human spirit whether willpower, love or even hatred which draws others. The dark plot is reminiscent of moltmannian tragic theology of hope. Worth reading until the end. 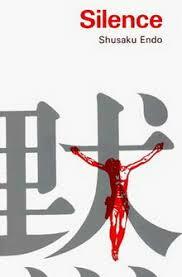 Graham Greene himself praised the author Shusaku Endo as a great novelist. Apparently a movie based on the novel is coming out soon.